The OnLive streaming game service that takes console and PC games, renders them server-side, then streams it to your Mac or PC, will go live on June 17 in the US (lower 48). A year after our first hands on, they've improved speeds to a point where it actually looks really good. Latency didn't seem like it was a huge problem (on stage, in their demo), and in controlled quarters, they've said that focus group participants had no idea that they were playing a game streaming over the internet. Some slightly new details. They've got two ways of rendering games. You can either natively on their own servers using their own SDK system—which requires game publishers to go and adapt existing games onto their platform (an easy task if it's a Windows game, slightly more difficult for, say, PS3 games)—or they can render it natively on the console it was intended for, and stream that to your PC/Mac, which causes more latency than the "native" method. OnLive will charge you $15 a month for just having the service, which includes playing demos and live-spectating people who are playing games (which is essentially in real time, letting you, combined with the chat function, basically play a game with a buddy across the country and give him real-time tips as he goes). If you want to play a game yourself, they'll sell you both games and rentals, with a price TBD. The subscription service is preliminary, and they'll have cheaper packages if you sign up for 3 or 6 months. 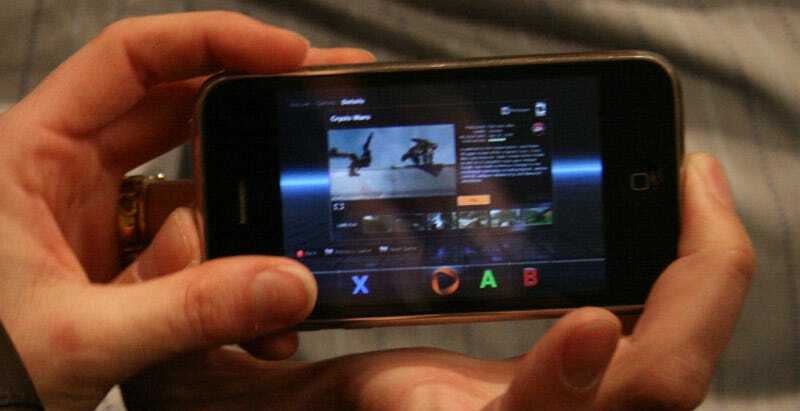 The upside for the platform, as OnLive puts it are the instant play (because games are rendered and already slotted up on the server), easy multiplayer, saving games in the cloud, always-updated games and instant downloading of add-ons, because there are no downloads (it's all server-side). A couple future-looking announcements they made were that they're going to focus on Macs and PCs first, but have a Microconsole TV adapter in the future in order to get this onto your TV, plus maybe support specialty controllers and motion gestures depending on the demand for these games. They'll also have 1080p, 60FPS streaming some time in 2011, depending on how many of their customers actually can support 1080p60. One illustration of how this thing actually works is when the developers pulled out an iPhone and streamed Crysis—downrezzed, of course, to the iPhone's native resolution—and played it quite smoothly. There's no way the iPhone can get anywhere near running Crysis in full details, so this demo can drive home the point that all this processing is going on on the server side. They then spectated the same game, using another account, and that ran at full resolution smoothly as well.